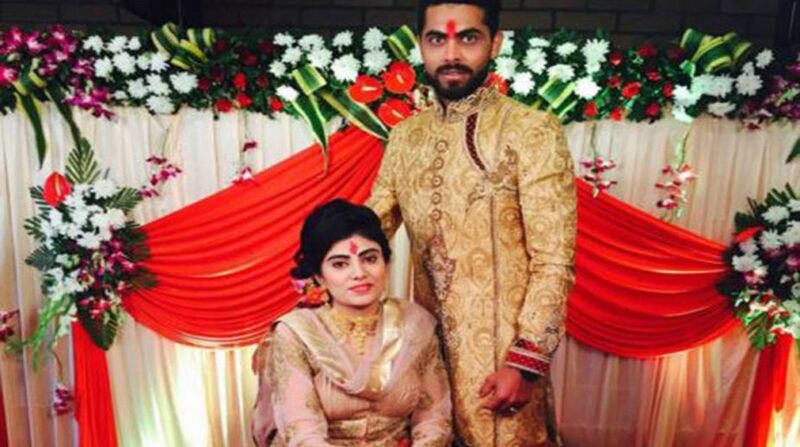 Reeva Jadeja, wife of cricketer Ravindra Jadeja, was allegedly assaulted by a police constable following a minor accident involving her car in Gujarat’s Jamnagar city on Monday. Reeva sustained bruises in the attack. The constable, identified as Sanjay Ahir, has been detained by the police. According to reports, Reeva’s car hit Sanjay’s motorcycle on the Saru Section road in Jamnagar after which he reportedly attacked her, said Jamnagar district Superintendent of Police Pradeep Sejul. “The policeman physically assaulted Reeva Jadeja after her car hit his motorbike. We are providing all possible help to her and will take strict action against the policeman,” he said. A case has been registered against the constable. An eyewitness said the policeman thrashed Reeva Jadeja “brutally”. “The policeman mercilessly thrashed Reeva and even pulled her hair during an altercation. We saved her from his clutches,” eyewitness Vijaysinh Chavda told reporters. Jadeja is currently playing in the Indian Premier League (IPL) as a Chennai Super Kings all-rounder.